We've all been in this position, we need 500 dollars in 24 hours or less. If you're really desperate for money and have no savings, no assets and nowhere to turn to and have a deadline looming which is potentially life threatening you need to take action now. You can either run away and look over your shoulder for the rest of your life, go to the authorities for protection, or you could put every ounce of your energy to raise 500 dollars in 24 hours or less. 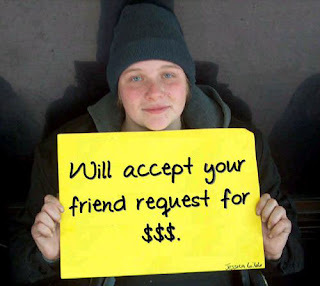 In this article we look at how we can potentially make $500 in 24 hours by pan handling and begging for money, I'm assuming your desperate and willing to do anything. 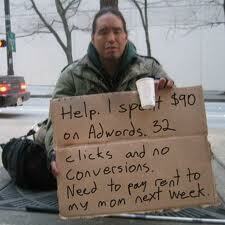 If you can find the right location and advertise your hardship in a brilliant way you can make the money. Feel free to share the contents of this article, if you know anyone who needs money in 24 hours or less then please send this to them. You can also like this article on Facebook and Google+ so it reaches more people. Derren Brown the trickster inspired me to write this article, he demonstrated how finding the right location and wearing the right sort of clothes along with the right slogan can help you beg for money successfully, I'm now going to try to put his methods in a little guide below. You're basically looking for high foot flow, if you can position yourself outside shopping malls or a subway stations in a highly affluent area there is a chance that you will get donations. Find at least several locations and move around from time to time. The more people who can see you the more you can make. You could also try to wait outside places of worship especially if it's a day of worship, people are feeling very generous and if you wait outside patiently and ask for help you could get a lot of money. Wear normal clothes, nothing too flash to make people think your taking advantage and nothing too rough to make you unapproachable, you want to show that your in a temporary hardship and only need a little help to get yourself out of poverty. Make sure you're clean and presented well, wear old clothes that are clean and smell good, you want to be approachable. You can make more money by writing a message on a cardboard box, you need to be honest and you must write something that catches the attention of others and makes them want to donate money to you. You must relate to the person and they must feel sympathetic to your cause. If you're planning to stand outside a subway station when people are going to work you could write something like "Need Money for Hair Cut, Shave and Suit, I have Interview in 4 Days". If you're waiting outside the subway station when people are leaving from work you could write "Was Fired Because My Boss Hates Me". If you can relate to a person's mood then you could make 500 dollars easily. 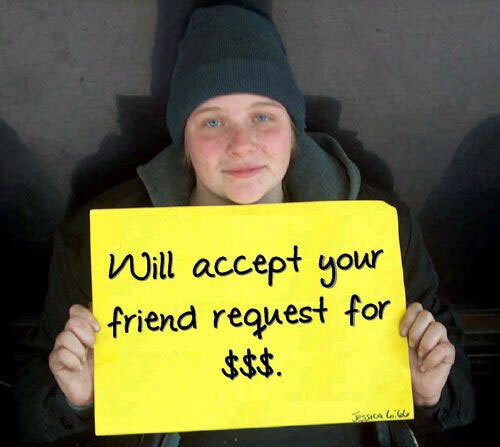 Try to have several messages to maximize your pan handling. 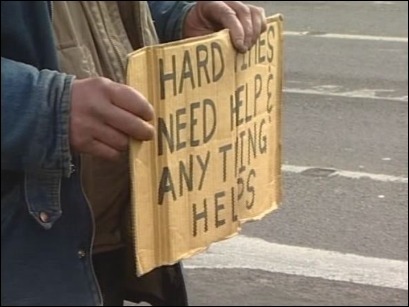 The quicker you raise your money the quicker you can stop panhandling. Ask for generous amounts, if you write on your message you need $5 from 100 people or any small change people just might give the 5 dollars because they feel like you have a target and will stop when your reach your goal, it will also show that you have a strategy and are trying to beg yourself out of poverty and into a better quality of life. Every hour assess your progress, try to make $100 per hour and realize what is working and what is not, if standing outside subway stations is really working then continue going to different stations at different times of the day. If a particular message is working then keep using that message. If you can find out whats making people donate more and exploit this you can reach your 500 dollar goal very fast.